The EU project CascEff is now concluded. Over the course of just over three years, the cascading effects of incidents have been studied; how these effects can occur and propagate, and how such cascading incidents can be predicted. All public deliverables are now available under Publications. This entry was posted in News on September 8, 2017 by Erika Hjelm. Cascading Effects Conference a success! 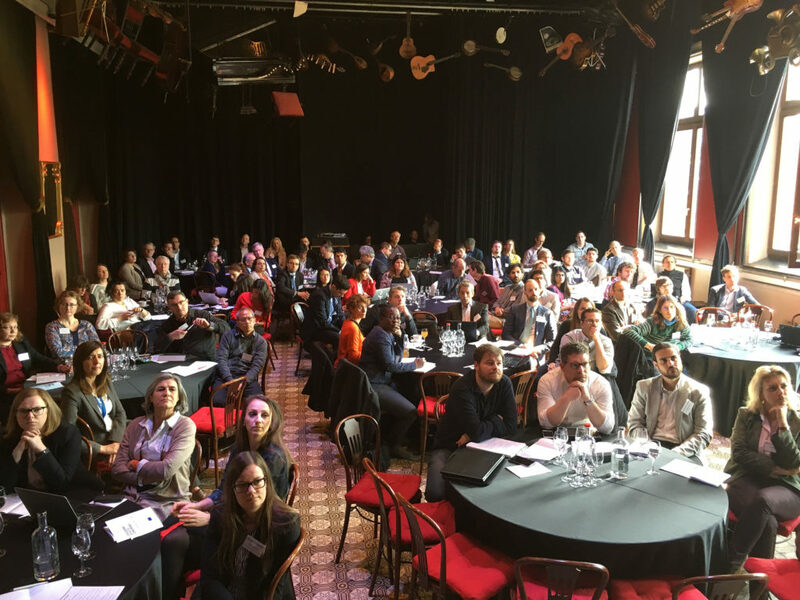 During two days approximately 120 persons attended the Cascading Effects Conference (March 16-17, 2017) in Brussels to discuss different aspects of cascading effects, especially if and how such effects can be modelled. The conference was organized by the five FP7 projects CascEff, CIPRNet, FORTRESS, PREDICT, and SnowBall. More information from the conference will be made available soon. This entry was posted in News on March 24, 2017 by Erika Hjelm. This entry was posted in News on February 14, 2017 by Erika Hjelm. 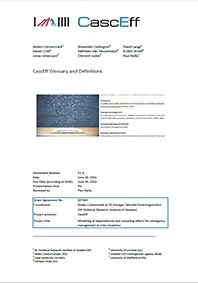 The CascEff report on Glossary and Definitions has been published. This entry was posted in Results on July 6, 2016 by Erika Hjelm. This entry was posted in Results on May 11, 2016 by Erika Hjelm. This entry was posted in Results on April 21, 2016 by Erika Hjelm. 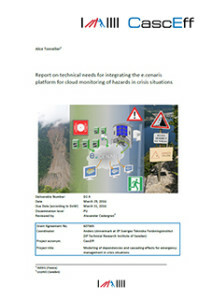 Report on technical needs for integrating the e.cenaris platform for cloud monitoring of hazards in crisis situations has been published. This entry was posted in Results on April 1, 2016 by Erika Hjelm. Article in the Newsletter Brandposten from SP Technical Research institute of Sweden. This entry was posted in News on February 26, 2016 by Erika Hjelm. 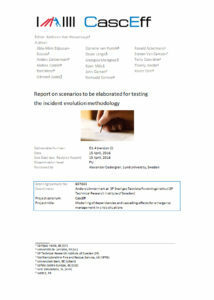 The objective of Task 2.5 is to investigate how computer modelling can be used as input to an Incident Evolution Tool (IET). In some situations the cascading effects depend on the physics and to fully understand the effect of incident management, also physical processes need to be modelled. 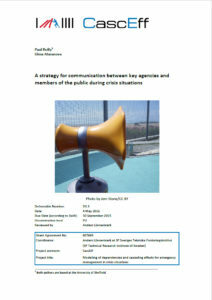 Therefore, this task aims at modelling the necessary processes in order to support the simulated exercises in WP5 based on the physical effects identified in Task 2.3. In total three scenarios are simulated within Task 2.5, two scenarios involved fire (Mont Blanc tunnel and wildland fire cases) and one scenario involved pollutant dispersion near a populated area. A detailed description of the numerical set-up used to model the scenarios is given and the results from the numerical simulations of the different test cases considered are analyzed. Based on the simulation results, valuable conclusions are drawn for each test case with regards to the viability of the use of numerical modelling as input for the IET to be developed within the project and for the simulated exercises to be performed within WP5. This entry was posted in Results on October 1, 2015 by Erika Hjelm.